After several years in a row of busy spring break trips with multiple destinations, we’re changing gears a bit and staying in one place for a extended period of time to live like locals. New Orleans is our primary destination, but we’ll also be making our first visit to Nashville on the way down and spending a night in Memphis on the return. Between Tennessee and Louisiana we’ll even dip our toes in our 49th state, Alabama. After this trip, Hawaii will be the last one to check off. We last visited New Orleans seven years ago in spring 2011. That was pre-blog and before either of us even had a smart phone or tablet … how did we do it?! It’s easy to stereotype New Orleans as a party town that doesn’t extend beyond Bourbon Street, but in reality it’s one of the most historic cities in the country, and offers cultural experiences far beyond drinking from a plastic cup draped around your neck. Last time we stayed in downtown hotels within walking distance of the French Quarter but explored some other Crescent City neighborhoods and even took an overnight trip out of town to go on a swamp tour and stay at a plantation. We covered a good amount of New Orleans last time, but there’s plenty more on our to-do list this time around. Our base will be the Bywater neighborhood just downriver from the French quarter. We scored a charming apartment in a double shotgun house that we’ll call home for five nights. This will be our first trip exclusively using Airbnb for lodging. We used the service for the first time last summer, and it worked so well we think we’ll be incorporating it into our lodging options regularly from now on (We’ve already set up an Airbnb stay for one of this summer’s pass-through towns). The tentative to-do list in Nashville includes the Lane Motor Museum, the Frist Center for Visual Arts and the Parthenon. We’ve been doing some research to see what’s new and exciting in the local dining scene as well. In New Orleans our must-sees this time around include the New Orleans Museum of Art, National World War II Museum, the Museum of the American Cocktail and partaking in as many dining and drinking establishments as possible. A few scenes from our 2011 trip: Street band, cocktails at Cure, Natchez paddlewheeler. 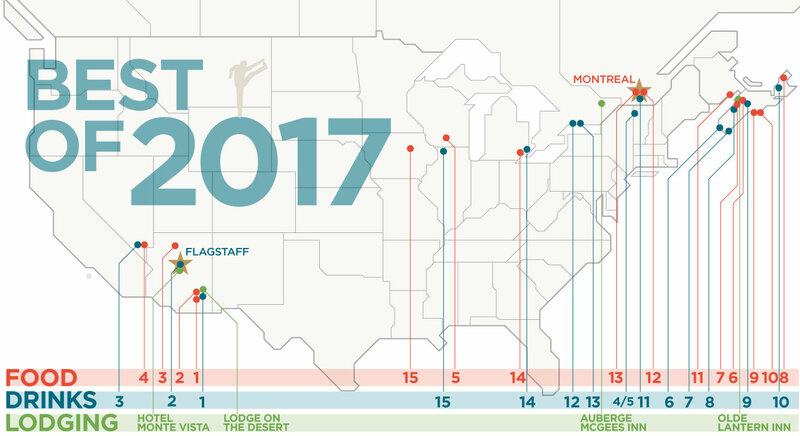 As 2017 comes to an end, it’s time to reflect on another year of travel, specifically the food and beverage department. Our spring break getaway focused on the southwestern states of Arizona, Nevada and California, while summer had us heading all the way to the tip of Nova Scotia. We had a lot of amazing dining and drinking experiences along the way, but we’ve narrowed the favorites to 15 food items and 15 beverages, plus our favorite overall restaurants, bars and hotels. Departing Fundy National Park with our sights set on Montréal, we mentally prepared for what would be the longest day in the car of the trip. Since Maine nearly slices Canada in half up there, the most efficient way between these two points (which lie at the same latitude), is to loop way up north over Maine. Québec City is on the route and it’s fantastic, but we’ve been there before and had planned to speed our way home since we’d already been on the road for three weeks. There was very little traffic as we traversed the pretty New Brunswick countryside. Frequently the highway passes within sight of the Maine border. When we stopped for lunch at Presse Café in Edmundston we were firmly in the French language realm, and shortly after we entered Québec where all English language road signs disappeared. We had a good laugh while passing the town of Saint-Louis-du-Ha! Ha! the only town in the world whose name officially includes two exclamation points. That’s some good random trivia. Upon approaching the St. Lawrence River, the Trans Canada Highway makes a 90 degree left toward the southwest. Once we reached Québec City, the traffic picked up and we were noticeably back in the more heavily populated region of the country. About 9.5 hours after departing Fundy National Park we arrived in Canada’s cultural capital and the largest French-speaking city in the Western Hemisphere. Whenever people ask us for our favorite cities, we both put Montréal near the top of the list. Its combination of big city amenities and Canadian friendliness with a touch of French elegance makes it hard to beat. It frequently pops up on rankings of most livable places in the world due to its history, culture and charming ambiance. Old Montréal is about as close as you can come to a trip to Europe without getting on a plane. Our last visit was in the summer of 2010, so we couldn’t pass by without spending a couple days. We booked two nights at the Auberge Le jardin d’Antoine in the Latin Quarter near the University of Québec at Montreal (UQAM). This put us close to public transit and within walking distance to great neighborhoods. Our small but comfortable room was located on the ground level off the back terrace. Each morning a European style breakfast was served in the dining room. The sidewalk patio tables were a lovely place to start the day. We made dinner reservations at Manitoba in the Mile-Ex district on the first evening. 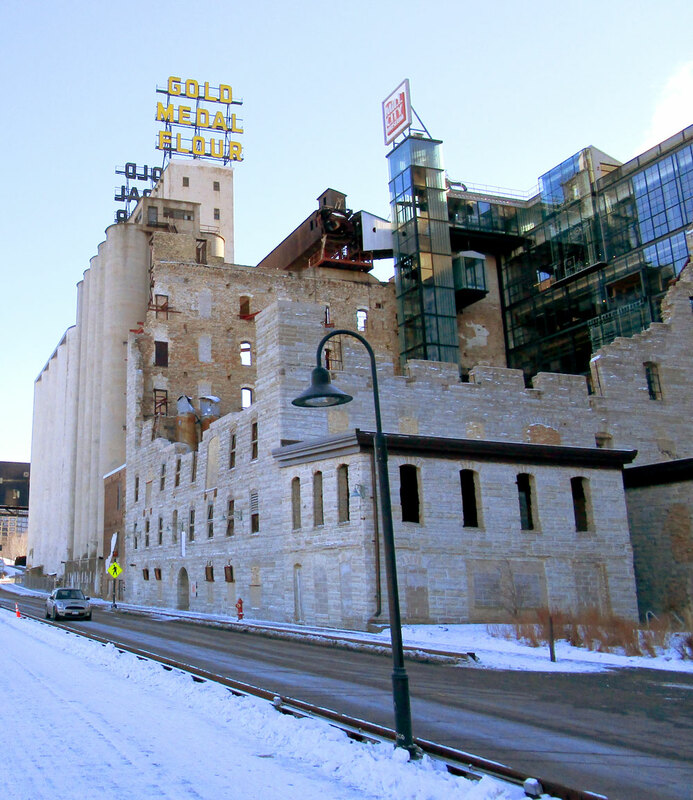 This trendy neighborhood has recently become a creative enclave and is home to several well-renowned restaurants and bars. It happened to be the 10th anniversary of our first date, so we felt justified in splurging a bit. Manitoba’s concept celebrates fishing, hunting and foraging with locally-sourced and uniquely Canadian ingredients. We were seated on the back patio surrounded by decorative prairie grasses and flowers. 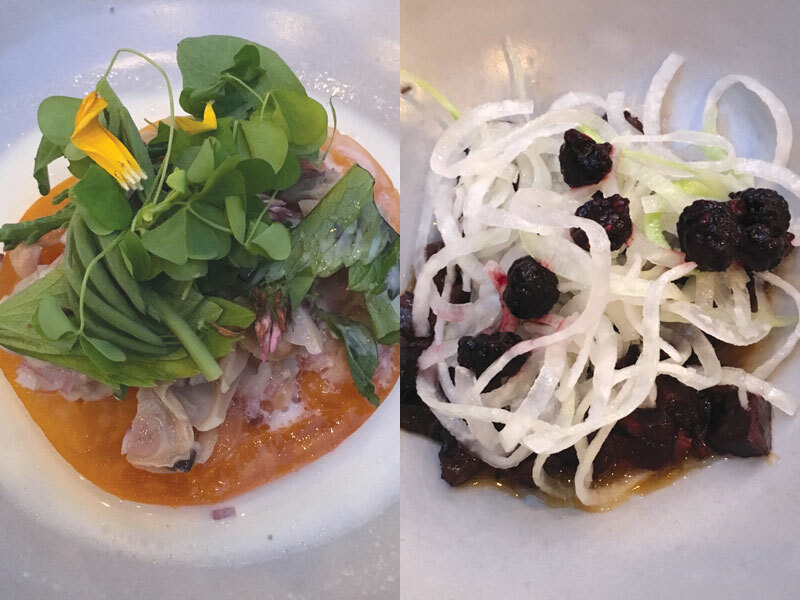 For our first course we selected two unique dishes, clams served on tomato with greens and seal served nearly raw with berries and cabbage. Eating seal was a first for both of us. I wouldn’t say it was my favorite meat, but if you’re feeling adventurous, Manitoba is the place to try it. The entrees, cocktails and dessert were also perfect and I was constantly impressed by our server’s ability to recite multiple obscure ingredients in both French and English. After dinner we walked around the corner to Bar Alexandraplatz for a nightcap on the patio. Mile-Ex gets our seal of approval for sure, while seal itself gets a cautious thumbs up. Top: Old sewer system. Bottom: Lights highlighting the hearth, floorboards and stairway of a former building. The following morning we walked to the Old Montréal neighborhood, where the narrow streets and old stone buildings are more reminiscent of Europe than North America. 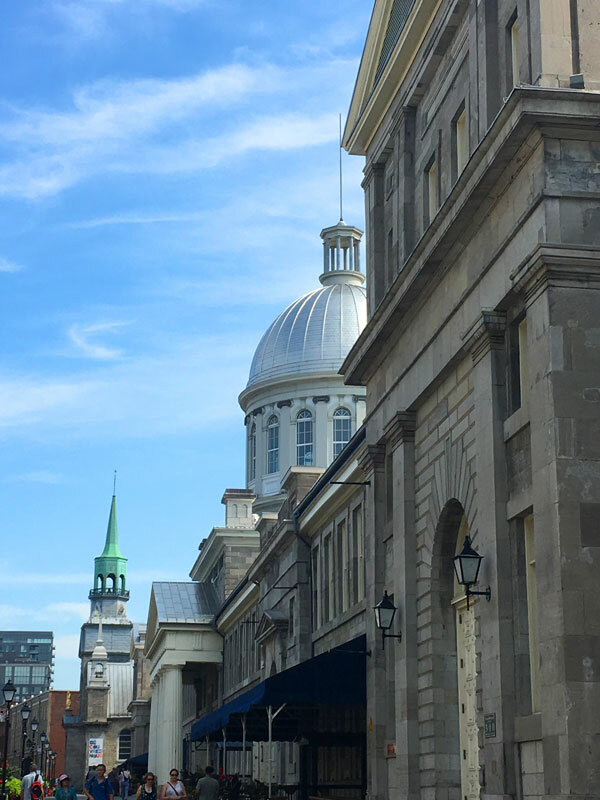 We passed through the silver-domed Bonsecours Market that was Montréal’s main public market for a century. Today, after surviving a 1960s plan to demolish it, the building is full of cafes, shops and event spaces. We made our way to the true heart of French Canada at Pointe-à-Callière Museum. The modern building sits on a site inhabited for over 1,000 years and the very spot where Montréal was founded. The museum covers archaeological and historical accounts of the city as it evolved from native meeting place to modern day metropolis. An introductory multimedia show introduced us to the basic historical plot. Following that, we descended stairs that led to underground archaeological galleries embedded amongst the real streets, building foundations and even sewer systems of Old Montréal. 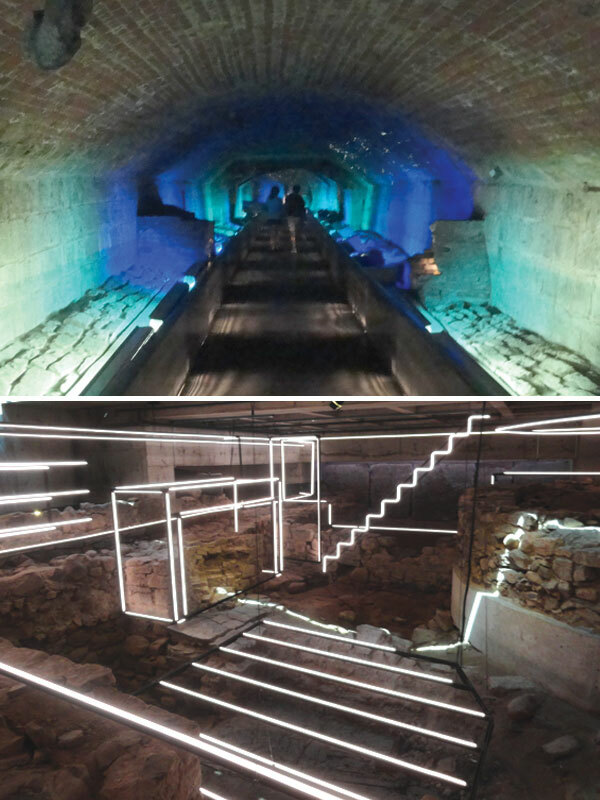 Our favorite exhibit narrates the historical uses of a site with color-coded light outlines. In the upstairs gallery, a temporary exhibit on the timeline of the telephone taught us how to operate a switchboard and an observation deck overlooking the neighborhood provided photographic opportunities. It’s a large complex and worthy of at least a few hours of exploration. View from the observation deck at the Pointe-à-Callière Museum. There’s no shortage of good food and drink around there either. We enjoyed a quick but delicious lunch at popular Olive et Gourmando and then perked up with coffee at Flyjin Cafe a block away. Their maple syrup latte is something everyone must try. 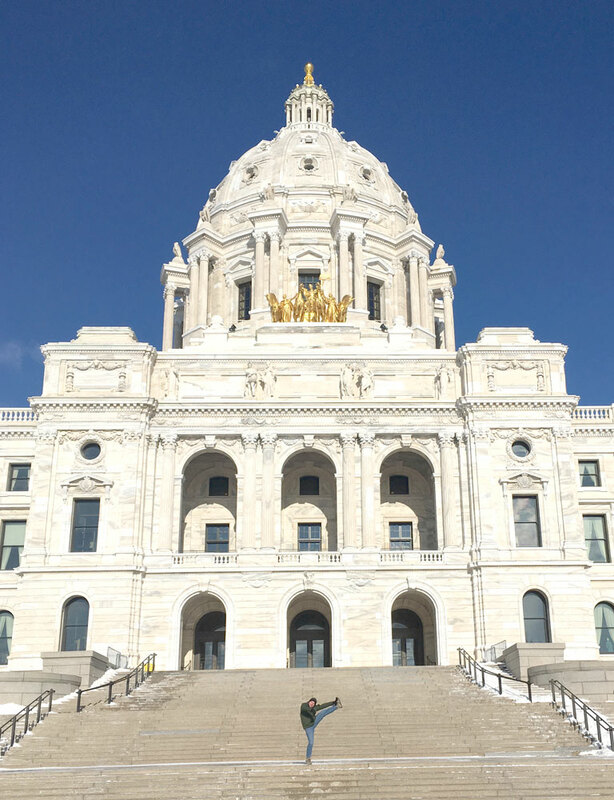 We browsed around the central business district for a bit before taking the Metro green line to the Canadian Centre for Architecture. Exhibits here are meant to put architecture into the context of society and foster awareness with the public. 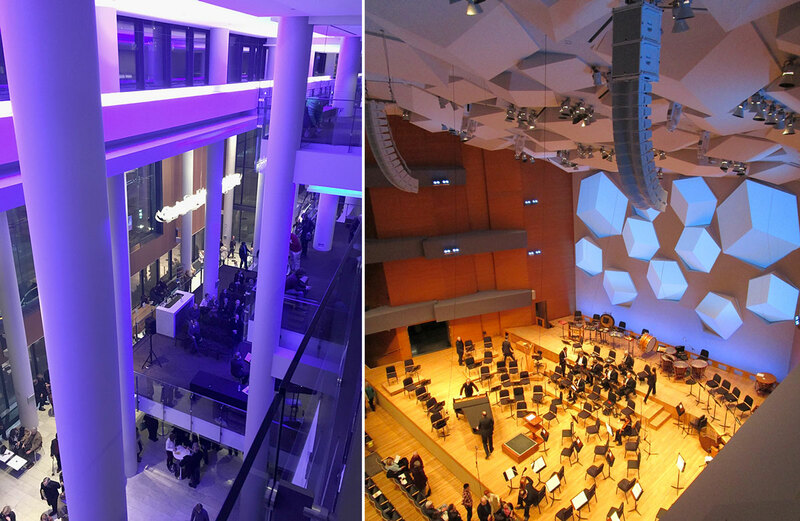 The scale models and conceptual illustrations reveal design processes the public usually doesn’t get to see. It also serves as a library and resource center for the study of architecture. 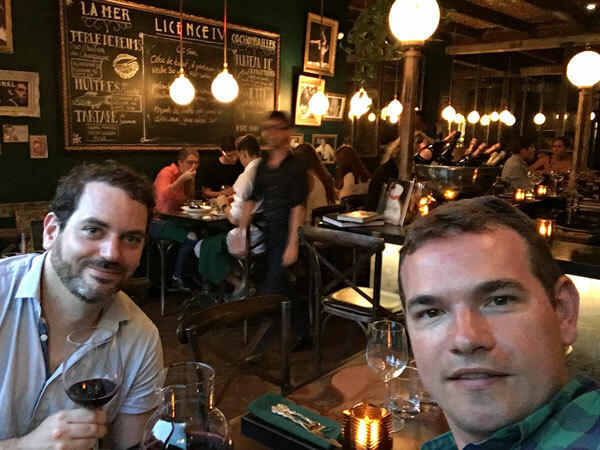 After a quick cold beverage at Le Saint Bock and a little relaxation time at the hotel we were ready for some more eating and drinking in the evening. Our reservations were booked at License IV, a French bistro in the Griffintown neighborhood which was accessible by the Metro orange line. For traditional French fare with friendly French-Canadian service it really hit the spot. One of Canada’s favorite ways to celebrate their 150th birthday was with light shows. 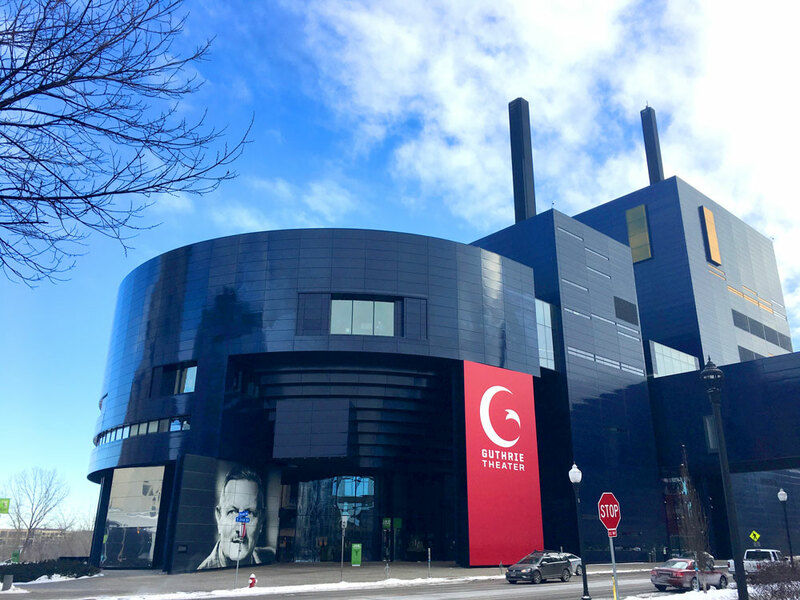 A large one was being staged nightly in the Old Port with scenes of area history projected onto stacks of shipping containers and fountains while a booming voice narrated. We didn’t have tickets to get inside the grandstand because they sold out quickly, but we observed a bit from outside the fence. The anniversary was also being celebrated with an interactive art exhibit all over Old Montréal. Called “Cité Mémoire“, it featured projections on the sides of buildings that were activated by a phone app that then played the audio as we watched. Walking around the neighborhood, we could see lots of people taking part, watching dancers, historical figures and even a family of beavers come to life on the brick walls. 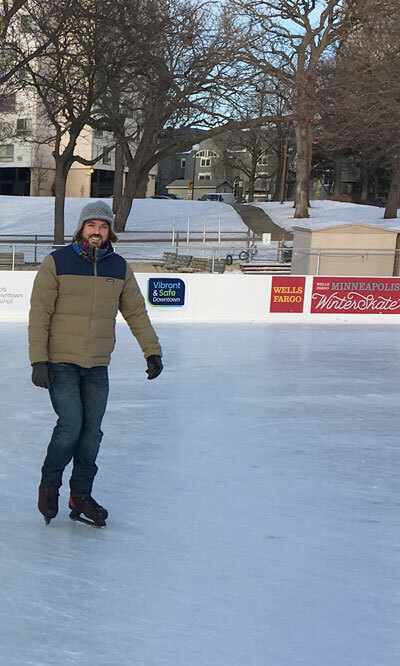 We walked back to the Auberge Le jardin d’Antoine and remembered why we loved Montréal so much, there’s always great food and culture plus something a little unexpected around every corner. The next morning we departed to visit a new city, the national capital of Ottawa. It’s located just a few hours west of Montréal on the Ontario side of the Ottawa River. We found another cute hotel called Auberge McGee’s Inn in the happening Byward Market neighborhood. Most of the rooms are in the upper floors of an ornate 1886 mansion, but we chose a nicely-furnished lower level room with private entrance in the back. They provide a killer breakfast in the dining room in the morning. The inn is within walking distance of much of central Ottawa from the restaurant-filled Byward Market to Parliament Hill. Parliament hill viewed from the path leading to the National Gallery. Our afternoon walking loop took us past the Rideau Canal, a 202 kilometer waterway (another UNESCO World Heritage Site), and to the cluster of gorgeous buildings crowning Parliament Hill. The Peace Tower stands 92 meters above it all, and in refreshing fashion the buildings are not surrounded by obvious military-grade defense structures. We weren’t able to tour the interior unfortunately, as the timed tour tickets sell out very quickly during the busy season. If you want to see inside or climb the tower, it’s best to line up at the visitors center across the street first thing in the morning (we saw the insane lines the next day on our way out of town). Behind the super-ornate library portion of the Parliament House we descended a long set of zig zagging stairs to a riverfront pathway that brought us back around to the mouth of the Rideau Canal. We were able to catch it in its hand-operated glory while a large group of pleasure boats made their way up the set of locks connecting the Ottawa and Rideau rivers. We then took a break from the summer heat and humidity by spending several hours at the National Gallery of Canada. 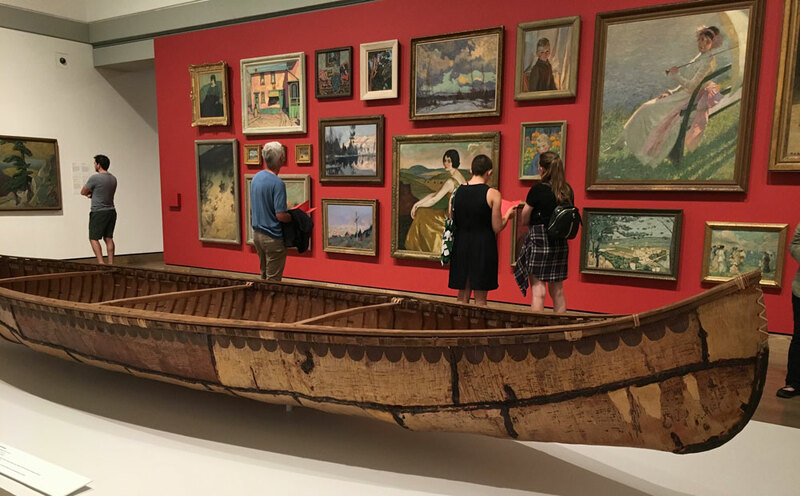 It has an extensive collection, so we focused mainly on the Canadian and Indigenous galleries to keep with our summer theme. It does an excellent job of highlighting the contributions of all the nation’s groups and demonstrates the trajectory of Canadian art through history. For dinner we enjoyed Italian on the courtyard patio at Mama Grazzis on George Street before heading back to Parliament Hill. That night we’d get to see a great Canadian light show that didn’t require tickets. Every summer evening the Parliament House became the canvas for the “Northern Lights” show celebrating Canada’s birthday. The 30 minute display depicted a timeline of historical events accompanied by narration and music. The finale set to “O Canada” brought the crowd to its feet as the images on the building gradually coalesced into the iconic maple leaf flag. In that moment I was so proud to be Canadian… and then I remembered, oh crap, I’m American. Send help Mr. Trudeau. Afterwards we found a rooftop deck on the 16th floor of the Andaz Hotel called Copper Spirits & Sights and enjoyed the view of the regular city lights. Various lighting phases during the Northern Lights show. We had two more days of driving left on our epic road trip, with an overnight in Toronto as a stopover. We last visited our fellow Great Lakes metropolis on that 2010 Canadian loop, so we’ve been eager to get back. Toronto may lack the old world charm of Montréal, but it has its own appeal, and man is it booming. It only overtook Montréal in population and business importance in the 1970s, but now it is clearly “Canada’s Downtown”. The skyline is a tangle of construction cranes building tall residential and commercial towers all over the central city. With an amazing 13 of the 20 tallest buildings having been built since 2010, we hardly recognized it. They could do with a little more architectural variety though, the spacey CN Tower is one of the few structures that provides any unique visual identity. We tried out Airbnb for the second time with more happy results. We were housed in a studio condo unit in a brand new building in the West Queen neighborhood. The caretaker even left us a bottle of wine, so we celebrated by popping it open and having a Grenache-fueled dance party set to the new Arcade Fire album. With just one evening in Toronto, there wasn’t much time to really get out and about, so we kept it local in West Queen with some flights at Bellwoods Brewery on Ossington Street. This neighborhood is cool. While sitting at the bar we looked out the window and both remarked how if we did not know where we were, we’d swear we were on Division Street in Chicago circa 2007 (when it was still cool). We followed that up with tapas at the chic Carmen restaurant. 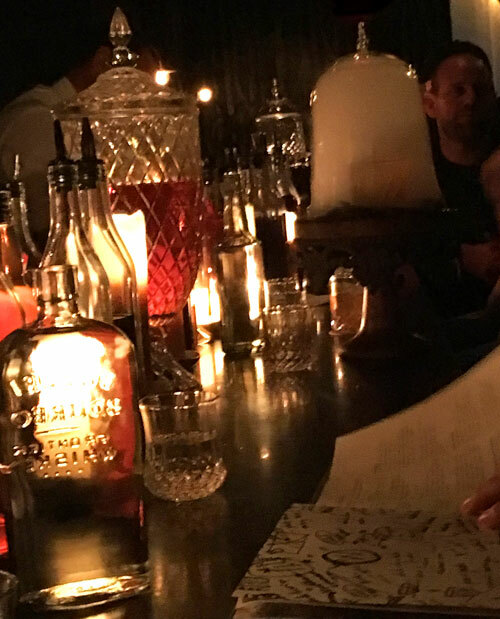 Our most memorable stop of the night turned out to be BarChef, where they take cocktails to a whole new level. 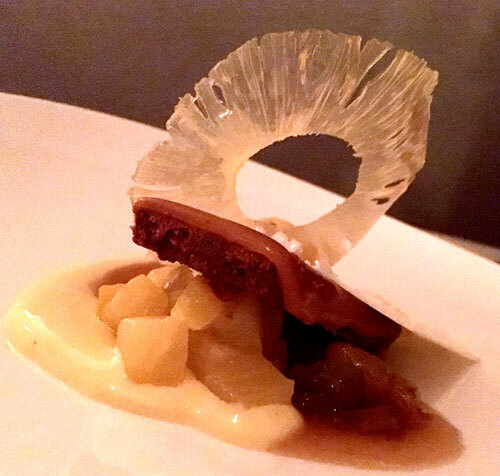 The menu is divided into sections ranging from classic to “molecular,” where they really push the boundaries of cocktail culture (and price). We went with middle of the road section because we’re not made of money, and were impressed. We did get to watch someone down the bar receive a molecular drink that arrived under a smoke-filled glass bell cover, so that was fun. It was a drippy and overcast morning when we began our trek back to Chicago. The traffic on suburban Toronto freeways has to be some of the worst anywhere, making a slow start to our departure. We finally broke out of the pack and sped the rest of the way across Ontario. We savored one last Tim Horton’s stop at an OnRoute on the side of the freeway. I think my drink was technically a cup of liquid frosting rather than anything coffee-related, but it did the trick. Around midday the Ambassador Bridge loomed above us while waiting in line to re-enter the United States. Do we really have to? Just across the border in Detroit’s Corktown neighborhood we found one last brewery to add to our vacation total; Batch Brewing turned out to make it an even 30 and made a delicious pasty for lunch as well. Michigan and Indiana were a blur, and before we knew it we were heading up the Dan Ryan with the Chicago skyline looming ahead. Music blared from Lollapalooza as we passed Grant Park and the whole city seemed to be out and about along Lake Shore Drive. Just like the end of all our incredible trips, Chicago was welcoming us home. Earlier in the summer we watched a documentary called “Our Provinces” that was made to celebrate Canada’s 150th anniversary. In it, the filmmaker traveled across the country visiting the places and people who make up modern Canada. In Nova Scotia, he featured the Hadhad family, immigrants who fled their home country of Syria and settled in the town of Antigonish. 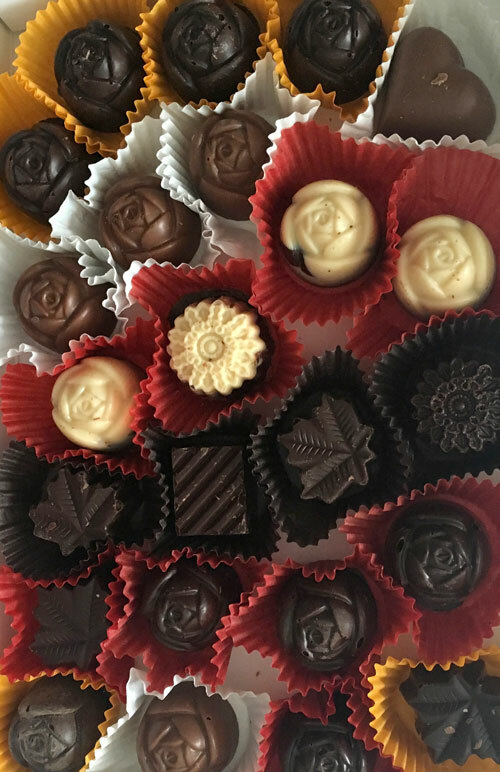 They were experienced chocolatiers whose factory was destroyed by war, and Canada provided a welcoming environment for them to rebuild the family business, Peace by Chocolate. When we discovered we’d be passing Antigonish on the way from Cape Breton Island to Halifax, we planned some candy shopping. Driving down Bay Street we nearly missed the tiny chocolate shop hut next to their home. Upon entering we tried some samples and bought a large assorted box to take on the road with us. They were very happy to hear we had come from so far and decided to stop by. Currently they ship products throughout Canada, but as of December 2017 they are looking into shipping to the USA soon. The rest of the drive to Halifax was uneventful other than the rock that a minivan kicked up right into our windshield. We’d spend the rest of the trip with an annoying little chip directly in the driver’s line of sight. A couple more hours down the road we entered the largest metropolitan region in Atlantic Canada. Halifax and its surrounding environs is home to around 400,000 people, which is just over 40 percent of the provincial population. As such, it’s the only part of Nova Scotia that could be described as bustling. After so many days of tiny villages and lonely roads, it was quite a change to burst through a fog surrounding the Macdonald Bridge and see a modern city skyline. Our lodging for the next two nights was the centrally located Hampton Inn. It may have lacked the charm we’d been experiencing at campgrounds and “mom-n-pop” motels, but it made up for it in comparatively luxurious comfort. We also reconnected with Nick’s parents for the first time since Yarmouth, as they had been exploring the western end of Nova Scotia at their own speed. After settling in and enjoying our first quality shower since Chéticamp, we took a walk around the city. Central Halifax is located on a peninsula and draped over a large hill, with a steep incline between the harbor and the upper reaches. At the very top lies the landmark Citadel, site of military protection since the early days of Halifax. The place to be on that evening was the waterfront, as our stay unintentionally coincided with the visit of the Tall Ships. 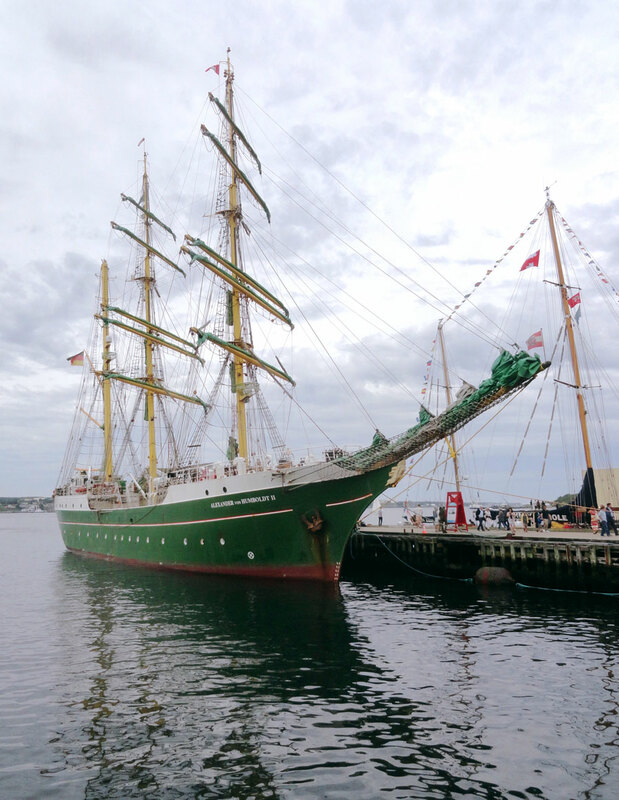 More than 30 large sailing vessels were docked along the boardwalk lining the harbour, it made a rather impressive sight. The entirety of the boardwalk contains museums, restaurants, playgrounds and vendors of all types. It was buzzing with activity as we walked from north to south. At the southern end near the Seaport Farmers Market, we stumbled upon Garrison Brewing. Actually I’m lying, we knew exactly where we’d find the brewery, and had already been drinking their beers elsewhere in Nova Scotia. We sat at an outdoor barrel table and drank a flight while killing time before our evening dinner reservation. We ate well both nights we spent in Halifax. 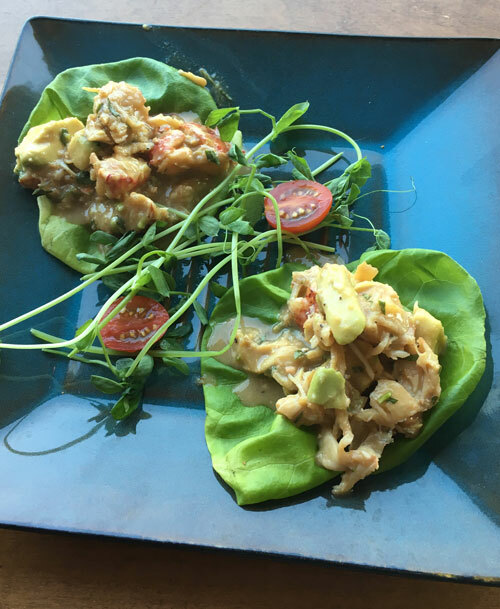 Immediately after our flights at Garrison Brewing, we walked back to the area of Grand Parade Park to The Five Fishermen, which specializes in seafood and steak. It was a great dining experience all around. The wood grilled fish menu, where you choose your type of fish and signature sauce, was a hit. On the second evening we walked a few blocks from our hotel to the North End neighborhood. We had scouted out a couple promising restaurants on Gottingen Street and selected EDNA for their unique menu. After dinner we hopped across the street to Field Guide for cocktails. These were our first proper cocktails since the manhattans at Glenora Distillery. 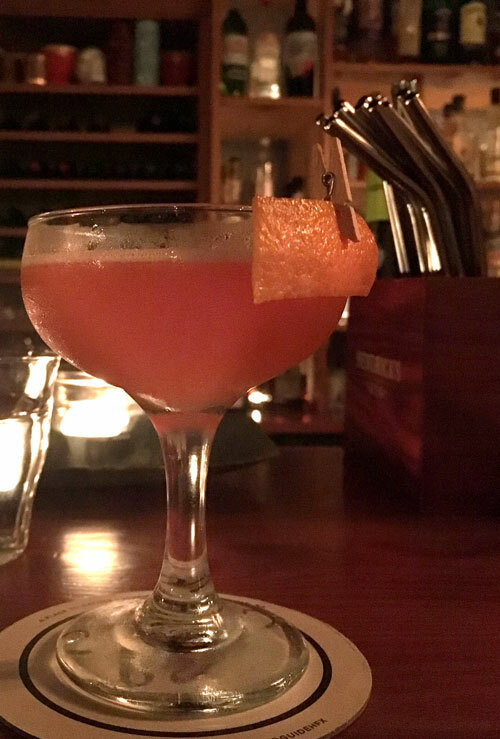 It made me feel back in my element to have a boozy drink served in a coupe glass with an orange peel attached to the rim with a mini clothespin. Another drinking establishment we enjoyed was 2 Crows Brewing, conveniently located next door to our hotel. 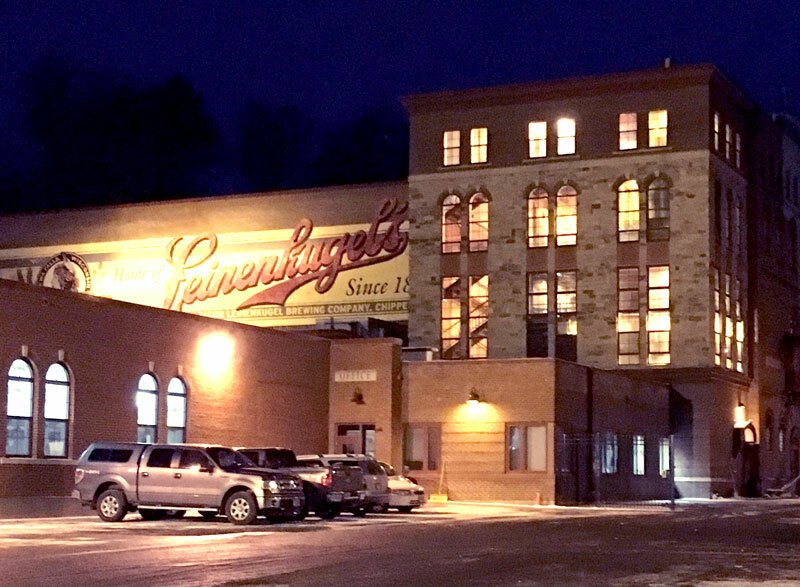 They focus on finely crafted modern beer styles and serve them out of a storefront facility on Brunswick Street that still has that new brewery smell. The morning of our full day in town we made the short but steep hike up to the Halifax Citadel. 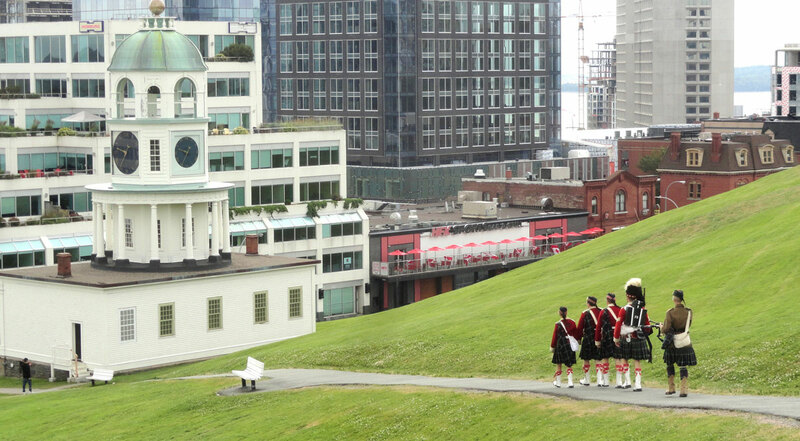 This hilltop site has been home to some form of fortification since 1749 when Halifax was founded as Nova Scotia’s new capital. Over the years, four different defensive structures have protected the city and harbour, with the current one dating from 1856. After it became militarily obsolete, it fell into disrepair before finally being fully restored to its Victorian era appearance in the 1990s. Today it is managed by Parks Canada as a National Historic Site and features museum exhibits, presentations and re-enactments that define the role of the citadel and Halifax in North American history. For us it was especially interesting because we were now entering the British counterpoint to the Fortress of Louisbourg that we had just visited. Army Barracks and WWI replica trench. A great day trip out of Halifax is the town of Lunenburg. In 1995 it was named a UNESCO World Heritage Site because nearly the entirety of the old town’s original British Colonial architecture is preserved. Colorful buildings line the Main Street that parallels the harbor that was home to the town’s famed shipbuilding industry. Quaint shops and restaurants fill the blocks closest to the water, while residential neighborhoods climb the hill behind them. The whole place looks like it should be on the cover of a puzzle box. It’s a good place to spend an afternoon eating fish and chips and doing some souvenir shopping or whale watching. The town also has a rich history of shipbuilding and is home to the Fisheries Museum of the Atlantic. Lunenburg from across the bay. On July 31, we said goodbye to Nova Scotia after 10 wonderful and busy days. We also said goodbye to the parents, who were dropped off at Halifax Stanfield International Airport. We exited the province by car this time, crossing the short land border with New Brunswick. 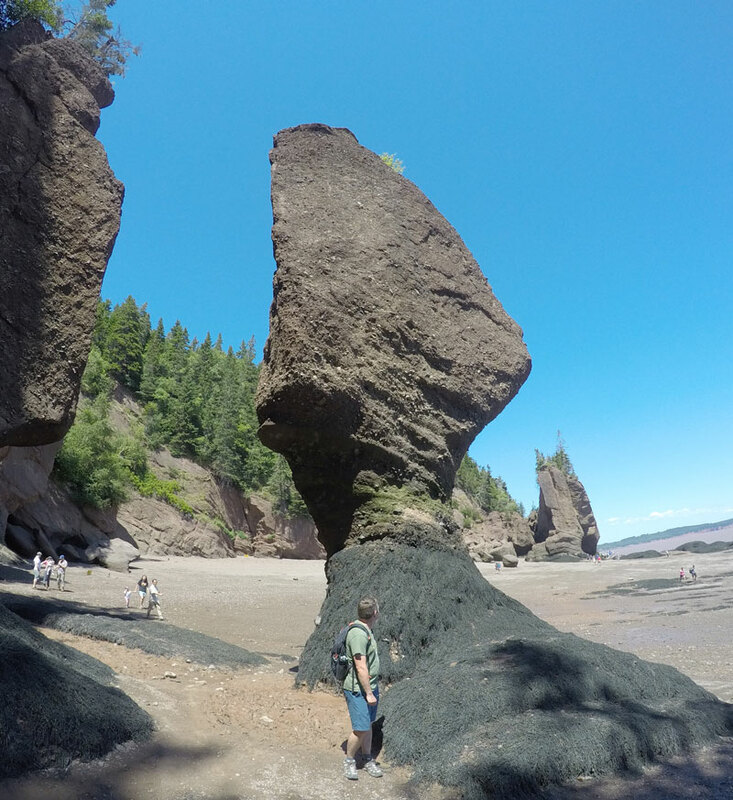 Our next point of interest was Hopewell Rocks, on the shore of the Bay of Fundy. This bay is best known as having the largest tides in the world, with the water level varying by up to 16 meters (52 feet). Twice a day this huge tidal surge enters and exits the bay, repeatedly exposing and covering large areas of sea floor. At Hopewell Cape, this constant erosional force has created bizarre rock features that are slender at the bottom and get fatter at the top. At low tide, the pillars are fully exposed, but at high tide, it is possible to kayak around them. We were there around the peak of low tide, so swarms of visitors, not water swirled around the base of the rocks. We descended the staircase to the rocky beach and observed the rocks from below. They look like they could tip over at any moment. Admission to the park allows access for two days, so you can experience both high and low tides at your leisure, but we had places to be, so we moved on. Our sleeping arrangements for the night were the fourth and final night of camping on our road trip. Fundy National Park was just down the road and we’d reserved a site at Point Wolfe Campground. Our site was number 68, located on a quiet loop at the side of the woodsy campground. This turned out to be our favorite site because of its nice level tent pad, movable picnic table and proximity to restroom facilities. It was also near enough to the adjacent campsites that we didn’t feel like we’d be eaten by a wild animal in the night without warning, but separated by nice stands of trees so we didn’t feel like we were right up in everyone’s business. Dickson Falls and the view from Shiphaven Trail. On our way into the park, we took a couple short hikes on the Dickson Falls and Shiphaven trails. Dickson Falls is a lovely 1.5 kilometer loop through a cool, shady forest with a moss-filled stream and the pretty waterfall for which it is named. Several parts of the trail are well-maintained boardwalks and there is a viewpoint right by the parking lot that looks out over the coastal bluffs. The Shiphaven trail is located just before the campground and is a leisurely stroll on boardwalks and stairs with views of the Point Wolfe River Estuary, which varies drastically in appearance depending on the tide. Panels explain the cultural history of the area and the trail ends with a view of the Point Wolfe covered bridge. As darkness descended into the woods and beer descended into our bellies, the evening was pure relaxation until our next unexpected visitor. It was a different form of wildlife this time, the species known as “drunk girls.” At the campsite just above ours, there were two young ladies having some kind of a girls nature weekend. We had earlier noticed them talking and receiving approximately 15,000 texts, but didn’t pay too much attention. Then as we sat staring at our fire, a shadowy figure stumbled between some trees onto the road right in front of our site. She opened by asking if we drank beer, and offered us some in exchange for firewood, as they had used up their supply. We politely declined the watery swill they were guzzling, but gave her a few spare logs. She thanked us profusely and returned to her friend who then proceeded to grill her with loudly whispered questions about the guys at the next campsite: “Did you offer them beer?” “Did they know what that is?” “Did they seem nice?” “Are they English?” We could barely contain our laughter. Shortly after, one of them could barely contain her alcohol and vomited in the woods behind their tent. Morning at Site 68, Wolfe Point Campground. The next morning we rose, made coffee, ate cinnamon rolls, took down the tent and hit the road. The day ahead of us would take us all the way to Montréal, by far the longest driving day of the trip. On the way out of Fundy, we took a quick walk around the Caribou Plain trail, a UNESCO “Fundy Biosphere Amazing Place.” There were no caribou out and about that morning unfortunately, so we set off to say bonjour au Québec. Up Next: Home across Canada. Model of the full town in the museum. 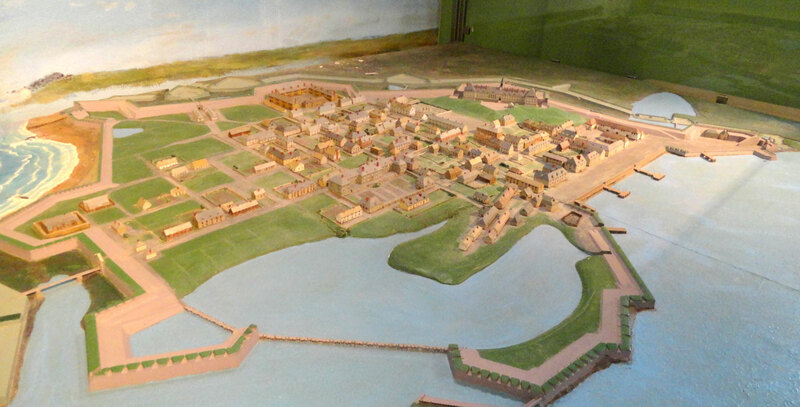 The fortified town of Louisbourg served as capital to the French colony of Île Royale (present day Cape Breton Island), during a time of fierce competition for North American dominance between European powers. Having just lost control of their colony in peninsular Nova Scotia to the British, the French constructed this heavily fortified town in 1713 to maintain a presence on the Atlantic seaboard. Despite only existing for 50 years, it holds an important role in North American colonial history. The British permanently seized Louisbourg during the Seven Years War in 1758, and then meticulously blasted the buildings and walls down to nearly nothing. 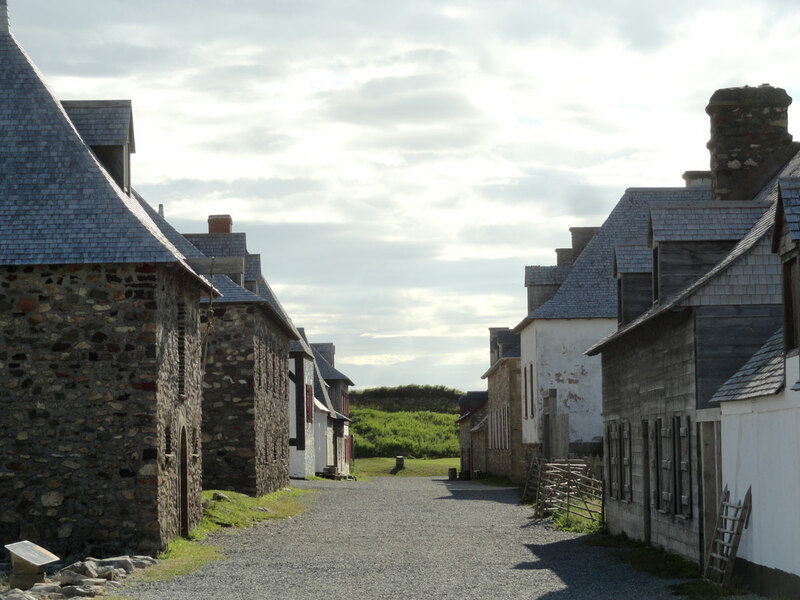 For 200 years after its defeat, Louisbourg was a rough, mostly forgotten ruin. Interest was rekindled in the early 20th century, which resulted in the construction of a memorial and museum building. 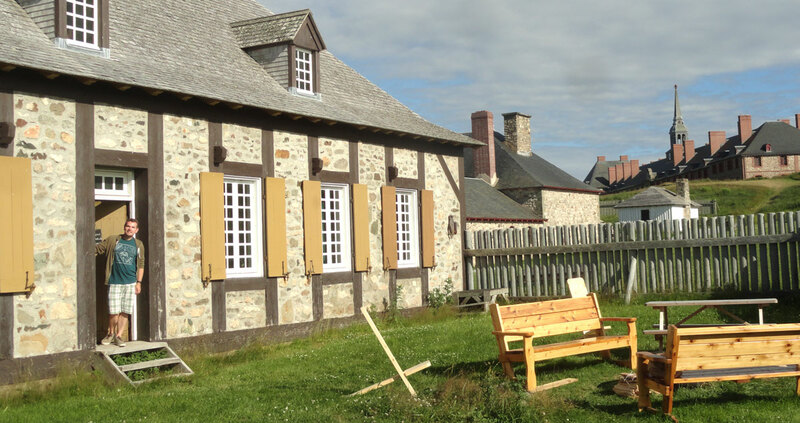 Later, in the 1960s when Cape Breton was suffering a collapse in mining employment, a proposal came forth to re-create a portion of Louisbourg as both a signature historic site and a way to put unemployed locals to work in skilled trades. The authenticity of the site has been put to good use in several movie and TV productions. The 2000 film The Widow of Saint Pierre uses it particularly well as a stand-in for the French colony of Saint-Pierre circa 1849. Most visitors arrive at the fortress via shuttle bus from the visitor center and spend a few hours browsing the site. We wanted to take it up a notch, so when we found out it’s possible to spend the night inside the fort we went for it. Our original plan was to camp, but the tents in the King’s Bastion grounds were already reserved. 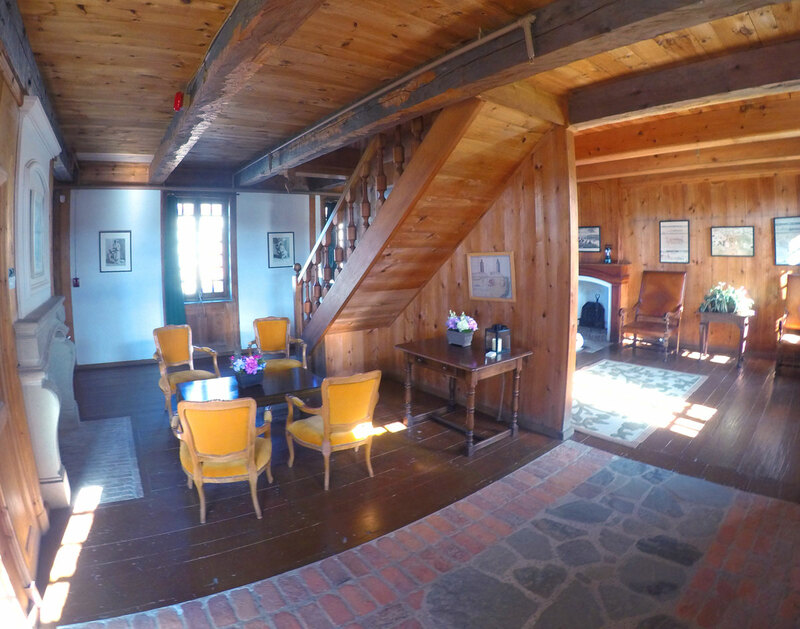 However, they ended up offering us something way better, the Lartigue House, the recreated home of a civil court judge who immigrated from Newfoundland amongst Louisbourg’s first settlers. This turned out to be one of the most unique and memorable lodging experiences we’ve ever had. We were allowed car access to the site via a back entrance and met with a friendly Parks Canada ranger for the introductory tour. We were escorted to the Lartigue House expecting to find a rugged, simple dwelling, but were blown away to find a huge home with 18th century replica furnishings, a back yard with fire pit and a Keurig coffee maker in the kitchenette. It’s not luxury; there are only two rooms with electric lights, no shower (yet) and you have to bring your own bedding to place on the queen size mattresses, but it was way more civilized than the “camping with a roof” experience described on the Parks Canada website. A camp stove and electric lanterns are provided for cooking and lighting needs, and we purchased a bundle of firewood that was delivered right to our yard by a ranger. The Lartigue House backyard, complete with lounging area and fire pit. During regular visiting hours, our status as overnight guests was indicated by pink wristbands. When the costumed interpreters noticed we were spending the night we replied “We’re in the Lartigue House.” We felt fancy. At 4:50pm, the soldiers march down Toulouse Street to the waterfront where they shoot a (crazy loud) cannon and then everyone except the pink wristband people are shuttled back to the visitor center. From then on, we had the whole town almost to ourselves, only occasionally crossing paths with the six camping guests. We were allowed to drive our car to the front of our house, which felt kind of surreal. At sunset we strolled through the village unattended and kept commenting on how surprising it is that we’re allowed to do this. It was like being in our own super nerdy theme park after it closes. We drank wine from our camping mugs, visited the sheep multiple times, and then sat by our backyard fire to watch the stars come out. Making use of the props available for photos around town. I’d be lying if I said it wasn’t a little bit creepy sleeping in an unlit period home in an empty town. There were some clunks and creaks emanating from the upstairs and the wooden shutters that got my attention, but I managed to drift off. The next morning we had to have our car out of the town by 9:00am so as not to ruin the illusion for the first guests arriving via shuttle bus. The most fun part of being there before opening hours was seeing the costumed interpreters before they were in costume. We took one last stroll around “our” town and said goodbye to the sheep before the whole place was all overrun by the masses. After five days on Cape Breton Island, it was time to head back to mainland Nova Scotia. The drive took us back up past Sydney and then southwestward along the gorgeous Bras d’Or Lake that sits in the center of the island. In just under two and a half hours, we were exiting Cape Breton on the Canso Causeway just like we had entered. We had saved Nova Scotia’s largest city for last. On to Halifax.